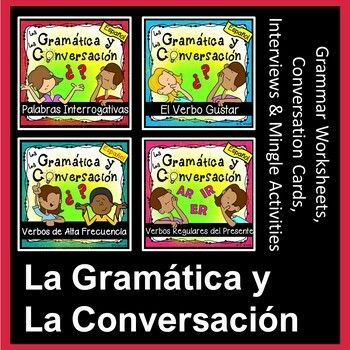 Spanish Grammar and Conversation Activities are designed to help your students use a specific grammar concept in a conversational manner. This BUNDLE includes four different grammar concepts. 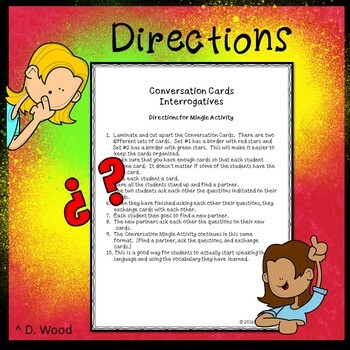 Each unit includes grammar worksheets, Interview Activity, 2 or 3 sets of Conversation Cards and directions for a fun Mingle Activity. 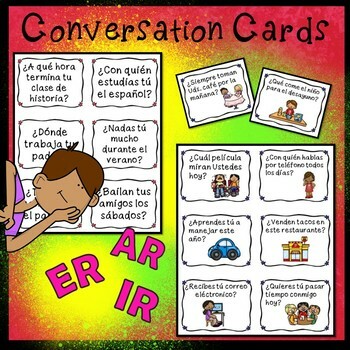 This will help your students stay in the target language. These lessons are NOT intended to teach the specific grammar concept. 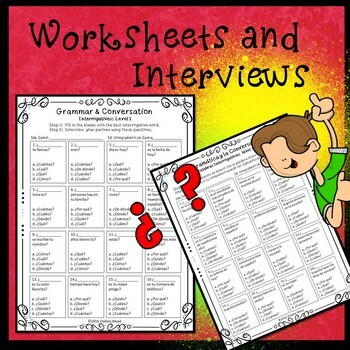 They are to be used as a review unit to help student use the grammar they have already learned in class.